Thomas Patrick Terry was born in 1905 at Keymer, Sussex. Thomas died in 1980 at Bexhill, Sussex. Caroline Nicholls was born circa 1867 at Warbleton, Sussex. She married Richard Funnell, son of Richard Funnell and Elizabeth Bryant, circa February 1888 at Sussex. Her marriage to Richard Funnell was registered in the March quarter of 1888 in the Hailsham registration district. She appeared on the census of 5 April 1891 at Brickhouse Cottages, Laughton, Sussex. Caroline died circa February 1906. Caroline's death was registered in the March quarter of 1906 in the Newhaven registration district. Ruth Funnell was born in 1889 at Ringmer, Sussex. 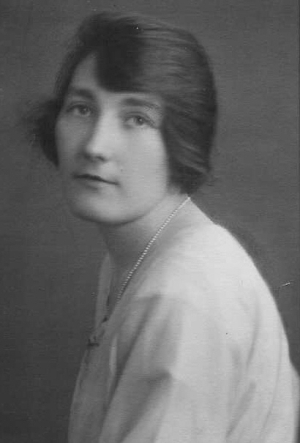 Daisy Hilda Wadey was born circa May 1891 at St Lukes, London. Her birth was registered in the June quarter of 1891 in the Holborn registration district. She was listed as a daughter of Thomas Wadey in the 1901 census, taken on 31 Mar, at 29 Caxton Road, Wood Green, Middlesex. She was listed as a daughter of Thomas Wadey in the 1911 census, taken on 2 Apr, at 29 Caxton Road, Wood Green, Middlesex. She lived in 1961 at 111 Beach Avenue, Leigh-on-Sea, Essex. Daisy died on 24 January 1961 at The General Hospital, Southend-on-Sea, Essex. Daisy's death was registered in the March quarter of 1961 in the Southend registration district. Probate of the estate of Daisy Hilda Wadey was granted on 25 April 1961 at Lewes. The estate was valued at £446 13s 2d. 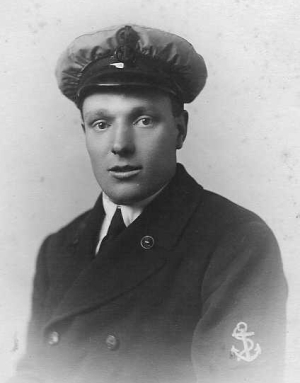 Herbert Stephen Wadey was born on 7 June 1895 at 135 Haringay Road, West Green, Middlesex. His birth was registered in the June quarter of 1895 in the Holborn registration district. He was baptised on 8 September 1895 at West Green, Middlesex. He was listed as a son of Thomas Wadey in the 1901 census, taken on 31 Mar, at 29 Caxton Road, Wood Green, Middlesex. He was listed as a son of Thomas Wadey in the 1911 census, taken on 2 Apr, at 29 Caxton Road, Wood Green, Middlesex. He married Evelyn Alice Statham circa May 1924. His marriage to Evelyn Alice Statham was registered in the June quarter of 1924 in the West Ham registration district. He lived in 1955 at 89 Craddocks Avenue, Ashtead, Surrey. Herbert died on 17 February 1955 at 49 Dorking Road, Epsom, Surrey, at age 59. Herbert's death was registered in the March quarter of 1955 in the Surrey Mid Eastern registration district. Administration of the estate of Herbert Stephen Wadey was granted to Evelyn Alice Wadey on 27 April 1955 at London. The estate was valued at £960 17s 7d. Lilian May Wall was born on 28 June 1889 at Wood Green, Middlesex. Her birth was registered in the September quarter of 1889 in the Edmonton registration district. She was baptised on 15 February 1891 at St Mark's, Noel Park, Wood Green, Middlesex. She was listed as a daughter of Walter Penn Wall in the 1891 census, taken on 5 Apr, at 8 Wellesley Road, Wood Green, Middlesex. Photo of the Wall family. She was listed as a daughter of Walter Penn Wall in the 1901 census, taken on 31 Mar, at 171 Hornsey Park Road, Wood Green, Middlesex. She was listed as a daughter of Walter Penn Wall in the 1911 census, taken on 2 Apr, at 62 Park Ridings, Wood Green, Middlesex. She and Albert Edward Honeybone lived in 1916 at 82 Finsbury Road, Wood Green, Middlesex. She married Albert Edward Honeybone on 23 May 1916 at St Michael's Church, Wood Green, Middlesex. Her marriage to Albert Edward Honeybone was registered in the June quarter of 1916 in the Edmonton registration district. She and Albert Edward Honeybone appeared on the 1939 Register, taken on 29 September, at 186 Blackpool Old Road, Poulton-le-Fylde, Lancashire, with Edna Louisa Lillian Honeybone and Florence Wadey also listed in the household. Lilian's death was registered in the June quarter of 1981 in the Preston and South Ribble registration district. William Henry Wall was born on 7 December 1890 at Wood Green, Middlesex. He was baptised on 15 February 1891 at St Mark's, Noel Park, Wood Green, Middlesex. His birth was registered in the March quarter of 1891 in the Edmonton registration district. He was listed as a son of Walter Penn Wall in the 1891 census, taken on 5 Apr, at 8 Wellesley Road, Wood Green, Middlesex. He was listed as a son of Walter Penn Wall in the 1901 census, taken on 31 Mar, at 171 Hornsey Park Road, Wood Green, Middlesex. William Henry was a railway porter in 1911. He was listed as a son of Walter Penn Wall in the 1911 census, taken on 2 Apr, at 62 Park Ridings, Wood Green, Middlesex. He married Beatrice Mary Gibson Stark circa August 1923. His marriage to Beatrice Mary Gibson Stark was registered in the September quarter of 1923 in the Edmonton registration district. William Henry was an engine fitter in 1939. He and Beatrice Mary Gibson Wall appeared on the 1939 Register, taken on 29 September, at 274 Mount Pleasant Road, Tottenham, Middlesex. William's death was registered in the December quarter of 1977 in the Haringey registration district. Winifred was a domestic help. She was born on 6 March 1895 at Wood Green, Middlesex. She was baptised on 24 May 1895 at St Mark's, Noel Park, Wood Green, Middlesex. Her birth was registered in the June quarter of 1895 in the Edmonton registration district. Winifred was a draper's assistant in 1911. She appeared in the household of Edward George Banthorp and Marjorie Banthorp on the 1939 Register, taken on 29 September, at 17 Winton Avenue, Wood Green, Middlesex. She married James Heatley on 2 August 1941 at Register Office, Edmonton, Middlesex. Her marriage to James Heatley was registered in the September quarter of 1941 in the Edmonton registration district. She witnessed the marriage of Eric Charles Knebel and Kathleen Edna Louise Harber on 3 June 1974 at Register Office, Haringey, London. Winifred died circa February 1982. Winifred's death was registered in the March quarter of 1982 in the Haringey registration district. Marjorie Wall was born on 19 June 1896 at 171 Hornsey Park Road, Wood Green, Middlesex. Her birth was registered in the September quarter of 1896 in the Edmonton registration district. She was baptised on 26 November 1897 at St Mark's, Noel Park, Wood Green, Middlesex. She married Edward George Banthorp on 21 September 1924 at St Michael's Church, Wood Green, Middlesex. Her marriage to Edward George Banthorp was registered in the September quarter of 1924 in the Edmonton registration district. She and Edward George Banthorp appeared on the 1939 Register, taken on 29 September, at 17 Winton Avenue, Wood Green, Middlesex, with Winifred Wall also listed in the household. Marjorie died on 22 December 1950 at 17 Winton Avenue, Alexandra Park, Wood Green, Middlesex, at age 54. Marjorie's death was registered in the December quarter of 1950 in the Wood Green registration district. Lydia (?) married Daniel Finch. Daniel Funnell was born circa 1817 at Chiddingly, Sussex. He was baptised on 8 June 1817 at Chiddingly, Sussex. He appeared on the census of 28 May 1821 at Stone Hill House, Chiddingly, Sussex. Daniel died circa April 1841 at Chiddingly, Sussex. He was buried on 11 April 1841 at Chiddingly, Sussex. Eliza Funnell was born on 24 October 1819 at Chiddingly, Sussex. She was baptised on 21 November 1819 at Chiddingly, Sussex. She appeared on the census of 28 May 1821 at Stone Hill House, Chiddingly, Sussex.